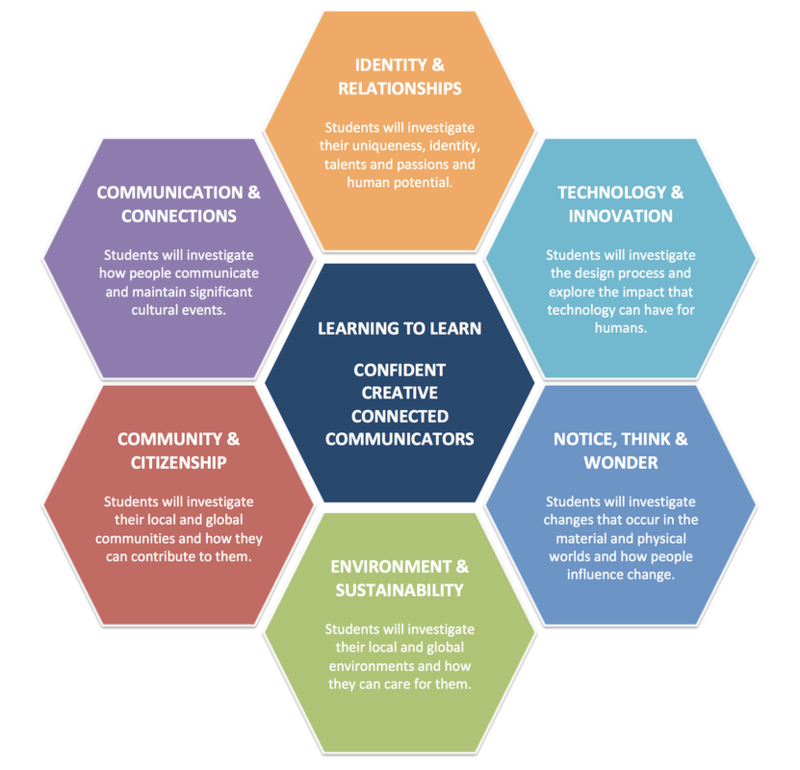 To support the outcomes of being Confident, Creative, Connected, Communicators we focus on six main big ideas and take an inquiry approach to explore it. Over 6 years at Winchester School, students would have encountered each of the big ideas at least twice. At the centre of learning is Learning to Learn - this is when students learn about how they learn best, how their brain works and thinking tools that will assist them with their learning. We want our students to be naturally curious and to be active researchers. The focus in the first two years of school will be for students to be skilled at asking investigative questions and as they move through the school, to become more and more skilled at finding, using and creating their own knowledge. All students are expected to share their learning and to reflect on what they have learned within the big idea, and also about themselves. Tuning In - What do I already know and feel about this? Do I have questions at this stage? Why is this important to do and learn about? What am I curious about? Finding Out - What do I need to do? Where do I need to go? Who could I talk to? How could I investigate this? How will I record/document what I find out? What will help me learn more? Sorting Out - What information is useful? How is my thinking growing and changing? Do I have some new questions? How could I share this with others? Do I need to Find Out more? Going Further - What do I want to find out more about? What do I still need to know? Why? Who? What? Where? When? How? Who might I work with on this? Reflecting and Acting - What have I learned about learning? How has my thinking and feeling changed? What might I do with this new understanding to make a difference to my life or others? Evaluating - What were my strengths as a learner? What do I do well? What do I need to work on? What might I do differently next time? How might I get feedback?